Mafair UMC: Two productions coming to Mafair! Two productions coming to Mafair! This summer is an especially exciting time at Mafair UMC. We have not one, but two amazing shows to present to the community! Godspell will be Mafair's FunFest offering, presented by our own Mafair Thespians July 15-17. As always admission to our FunFest shows is FREE. 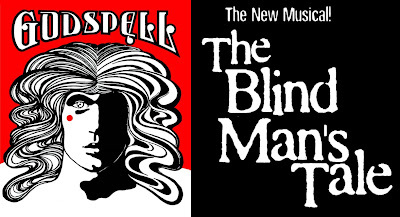 The Blind Man's Tale is a professional world-premiere event from Gary Richardson, nationally known for musicals like DAVID and The Rock & the Rabbi. The Blind Man's Tale is a new type of show, created especially for presentation in a sanctuary like Mafair's. Show dates are August 9-10. Tickets are $20 ($15 for 4 or more) and available online or in the church office. Invite your friends and neighbors to both! Make sure they know that Godspell is fun and FREE, and that The Blind Man's Tale will be an amazing professional production. We'll see you there!